And it's what John McLaughlin would have wanted. 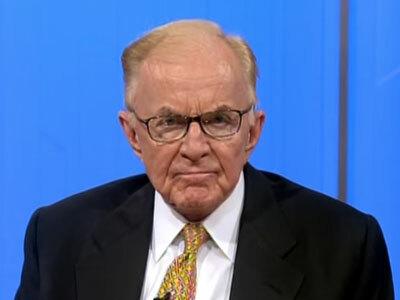 There will be just one more new episode of The McLaughlin Group, which lost host and creator John McLaughlin earlier this week. It will air this weekend. The decision follows what McLaughlin envisioned for the future of a show without him at the helm, that is, he didn’t want there to be one. Anschutz’s lucrative offer called for McLaughlin retire within two years after grooming a successor as moderator of the four-person panel debating political headlines and issues of the day. There may be, however, be an extra episode in the show’s future past this weekend–an hour that will look back at the show’s 34-year history. The plan for that is still being worked out.